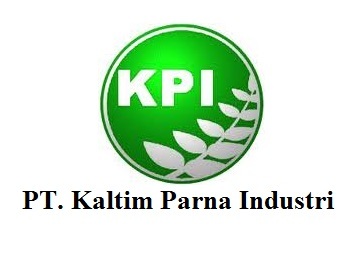 PT Kaltim Parna Industri or known as KPI, is a petrochemical company engaged in the production of Anhydrous Ammonia or commonly known as ammonia with a production capacity of 1,500 MT/day. At its inception, February 13, 1996, the company's KPI status PMDN, but along the way, and based on the approval of BKPM, dated February 27, 1998, changed the status of a PMA. But then through the decision BKPM No. 867/A.8/PMA/2013, dated May 7, 2013 KPI status again changed to PMDN. In the operation of the factory KPI supported by 287 employees comprised of employees of direct hires, employee assignment of PT Pupuk Kalimantan Timur and employees of outsourcing. KPI factory and headquarters located in the industrial area of ​​PT Kaltim Industrial Estate, Bontang, with a representative office in Jakarta. The potential candidate will be responsible to control, monitor, report and give recommendation to top management regarding to the implementation Occupational Safety & Health Procedures, standards and programs at all business level function of company. Evaluates all information to determine whether events of processes comply with laws, regulation or standards. Cooperate with Management Representative (Production Director) to develop, check, improve, audit and review the implementation or integrated QHSE Management System. Organize, coordinate and facilitate the implementation activities. Have experience minimum 10 years in Petrochemical Industry especially in Quality, Health, Safety and Environment Management System. Certificate AK3 Umum, AK3 Kimia, Internal Auditor QHSE Management System. Good physic and health condition and no color blindness. Makes, plans, organizes and controls the routine inspection and engineering activity. Planning and coordinate the inspection and engineering task and making planning and inspection schedule. Organizes and coordinates integrated management system implementation. Suggest and encourage all his sub ordinate to make Non Conformity Report (NCR). Coordinate the field survey implementation and data collects and coordinate the making of detail-engineering design. Coordinate the making of detail specification, materials take off and inquiry document for material purchasing in order to get appropriate require material. Coordinate the making of technical evaluation from vendor offer to make sure that all material which will be supply in accordance with specification needs. Coordinate the inspection implementation, collect data and give recommendation if find the damages sign in plant equipment in accordance to specification, standard and code of work procedure. Coordinate the failure analysis implementation for plant equipment related to failure as metallurgy and corrosion. Coordinate the evaluation of inspection survey related to general valve, pressure safety valve (PSV) and make recommendation if there are failure are failure or damage. Coordinate to preparatrion and making recommendation for welding activity and/or post weld heat treatment (PWHT). Arrange, control and coordinate the Turn Around (TA) implementation activity. Making monthly and yearly report also reports that related to plant equipments failures and damage to Maintenance Manager. Excellent knowledge and experienced related to inspection methods, i.e NDT, destructive test, vibration, thermo view, oil analysis, etc (with certificate is preferable). Excellent knowledge about both static equipment and rotating equipment. Good knowledge about corrosion management e.g.. corrosion under insulation, corrosive fluid effect, and other type of corrosion. Familiar with reliability engineering; ie, RCM, RBI, both analysis and implementation. Min. 8 years of experienced. Thanks for reading PT Kaltim Parna Industri Jobs: 2 Position. Please share...!